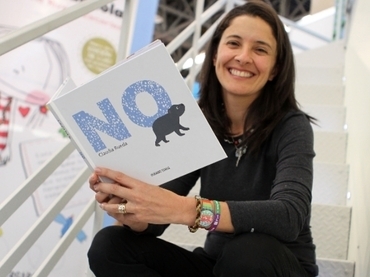 Claudia Rueda is a Colombian author and a New York Times Best Seller illustrator of over thirty picture books. Rueda's books have been published in the United States, Mexico and Spain and have been translated into more than ten different languages for Asia and Europe. She’s a 2016 Hans Christian Andersen and Astrid Lindgren Awards nominee. Claudia went to Law and Art school and worked as a political cartoonist in Colombia. She then studied Children’s Book Illustration at UC Berkeley. She holds a MFA in Creative Writing from Lesley University and she’s the 2009 recipient of the Billie M.Levy research grant awarded by the Northeast Children’s Literature Collection. Claudia is a student advisor on Picture Book Writing at Lesley University MFA low-residence program in Creative Writing.